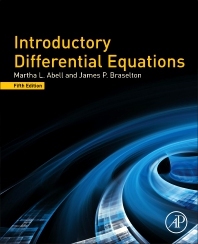 Introductory Differential Equations, Fifth Edition provides accessible explanations and new, robust sample problems. This valuable resource is appropriate for a first semester course in introductory ordinary differential equations (including Laplace transforms), but is also ideal for a second course in Fourier series and boundary value problems, and for students with no background on the subject. The book provides the foundations to assist students in learning not only how to read and understand differential equations, but also how to read technical material in more advanced texts as they progress through their studies.